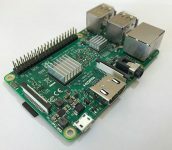 In this post I’ll give to you the steps to compile Percona Server for MySQL 5.7.22 in Raspberry Pi 3. Why? Well because in general this little computer is cheap, has low power consumption, and is great to use as a test machine for developers.